We have moved, please bookmark our new address. On February 20, 1988, the twelfth anniversary of the Club's founding, the Wisconsin Morgan Horse Club was honored at the American Morgan Horse Association's Awards Banquet in Los Angeles as the world's number one Morgan club. Again, in 1989, 1991, 1992 and 1993, the WMHC was presented the top club award in recognition of its great generosity and dedication in promoting the Morgan. Full of pride in its achievements and plans for the future, the Wisconsin Morgan Horse Club invites you to take part in its many activities. Enjoy meetings with speakers and demonstrations, a monthly newsletter, a first-rate open horse show, driving seminars and the Midwest's premier combined driving event, youth activities, a nationally advertised and distributed sales list of registered Morgans, a parade unit for local and Circus Parade, trail rides/drives, and more! 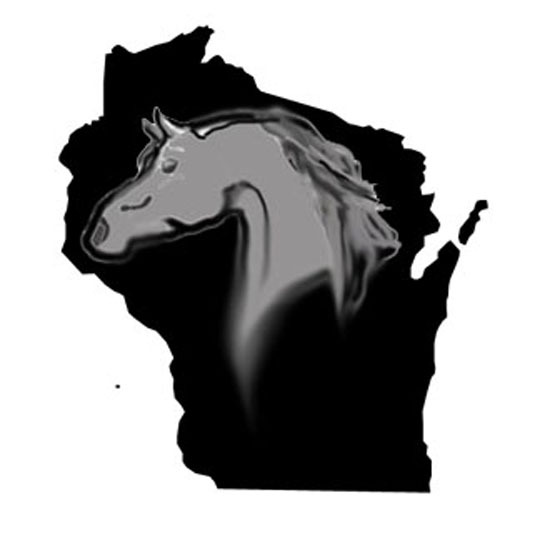 Congratulations go to the Mississippi Valley Morgan Horse Club for taking a first in AMHA Club of the Year, 2003 - the Wisconsin Morgan Horse Club received 2nd place in AMHA Club of the Year!! The Wisconsin Morgan Horse Club Newsletter received a 2nd place also!!! Experience the "Pride and Product of America"! The AHCDE is canceled for 2004 but will resume in 2005. Watch for details. This site established November 16, 1998. Want to join the Original Morgan Horse Ring? This Wisconsin Horse Webring site owned by rosewaterfarm01@yahoo.com.